Judge Dunston handed down his punishment Wednesday on Titre of Hard Labor, St John, a little more than three months after a 12-member jury convicted the 27-year-old man of nine of the 10 charges he faced in connection with the August 17, 2012, shooting death of Jarvis in Belle Vue, St John. At sentencing, prosecutors recommended 60 years for the murder conviction, 15 years for unauthorised possession of a firearm and five years for destruction of evidence to run consecutively. 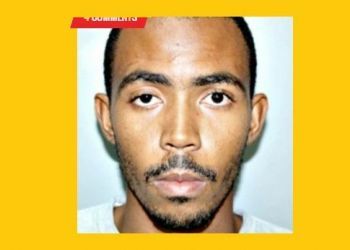 Judge Dunston, however, sentenced Dunston to 25 years for second-degree murder, 15 years for unauthorised possession of a firearm during the commission of a second-degree murder and five years for destruction of evidence. The three sentences are to run consecutively. Titre is eligible for parole after having served 12 and a half years of his prison term. On December 1, 2016, a 12-member jury unanimously convicted Titre of four counts of unauthorised possession of a firearm during the commission of or attempted commission of a crime of violence, one count each of second degree murder, first-degree assault, third-degree assault, first-degree reckless endangerment, and destruction of evidence, following two days of testimony and after a day and a half of deliberations. Prosecutors relied on the testimony of several witnesses, including Crystal Turnbull and her sister, Shereka Turnbull, to prove their case. Both of the sisters testified that they were at Belle Vue and they witnessed Titre shoot Jarvis. The trial was prosecuted by Assistant Attorneys General Eugene James Connor, Jr and Quincy McRae.